Tom eats 22h a day, non-stop, for 7 days a wk. What does he eat? He eats 22/7, so he eats π. 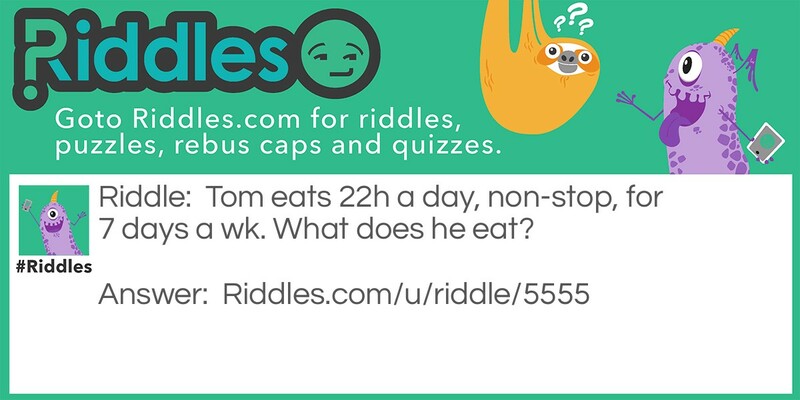 Non stop *eating* Riddle Meme with riddle and answer page link.